This article is written by Rachel Stewart Johnson, Ph.D. When it comes to supporting our children’s learning during the summer months, various ideas may be among the first to pop into mind: joining a summer reading program at the local library, for example, or taking kids on family outings to the zoo or a historic landmark. 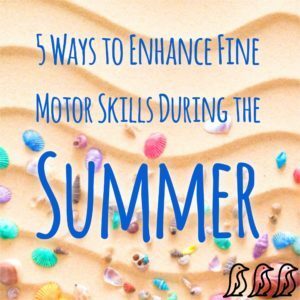 One important skill area may be easy to neglect while away from the classroom: fine motor skills. Control over hand and finger movements is essential for producing legible written work, and maintains its importance throughout a child’s schooling. 1. Get creative with a coloring book. Don’t underestimate the value of an inexpensive coloring book. A big box of crayons is a low-cost treat for children (who doesn’t get a little wide-eyed over that wonderful box of 64 crayons?). Coloring provides kids with an artistic finished product to display, and it’s great for supporting strength in young fingers and hands. For an added challenge, break old crayons into two. Those stubs can hold a little one’s attention with the task of maintaining control over the small piece. To provide cross-disciplinary benefit, ask children to make up a story to go with the picture. Let them be as silly as they want. Try asking kids to figure out what their own or a character’s name would be if spelled backwards. Little “Yeldarb” (Bradley) can tell a story about his picture of “Namtab” (Batman). Another challenge for an older child: suggest he or she color an entire page using only one crayon in different shades. 2. Play with an “odds and ends” jar. You may be surprised how activities that seem simple can hold a child’s attention, especially if you provide some prompts for what he or she might do. For this activity, fill a large glass jar or similar container with an assortment of small objects (due to the risk of choking, this activity is inappropriate for children under the age of three years, and even an older child may require supervision). Suggestions include buttons of various shapes and sizes, marbles, pieces of fabric, bottle caps, paper clips, keys, scraps of paper, small toys and balls, erasers, and coins. Ask your child to find a particular item in the jar, like the “blue marble” or the “biggest button”. Children have to maneuver their hands around the jar to fish for the object. Using a tall container with a narrower opening, rather than a box with a wide opening, makes the task more challenging. After a child has finished a few hunts, you can change the game. Let him or her choose an object for you or another child to find. You can also support basic math skills during this activity. If there are thirteen paper clips in the jar and we’ve found two, how many more are left? Similarly, ask kids to pull out objects in a pattern sequence: two pennies, three marbles, one toy; two pennies, three marbles, one toy. Finally, children can make predictions. Is this ball the only multi-colored ball in the jar? Let’s dig around to find out. Is this piece of paper the smallest piece of all, or is something in there even littler? If you prefer a more independent activity, trace the shapes of various objects in the jar and ask your child to find the objects that fit the shapes. 3. Build with molding clay. It’s an early-childhood classic: clay! Load up on fresh cans of molding clay and let your kids have at it. The acts of pushing, shaping, and pulling the clay are excellent ways to support fine motor skills. You can give this pastime a fresh new look by providing an extra-large tub of clay (often available at teacher supply stores), or giving kids tools such as mini rolling pins or plastic knives. Get creative when it comes to tools: items you have around the house may become fun instruments for shaping and cutting clay, such as jar lids, bottle caps, and popsicle sticks. See what tool ideas your children devise on their own. 4. Complete dot-to-dot puzzles. This is another classic paper-and-pencil activity with great benefit for fine motor skills. You can purchase books with pages of dot-to-dots of varying skill levels. You can also ask older children to make dot-to-dot puzzles for each other. To mix up the activity, suggest completing the dot-to-dot in reverse sequence. Finally, for some laughs, ask your child to write the numbers 1-30 on a large piece of paper in random spaces, then connect the dots to see what design emerges. Use the result to build creativity: what does this look like? What do you see here? Let your son or daughter fill in new lines and details to make a shape: a silly car, a crazy bird, or a wild design. 5. Play “school”. Here’s a sneaky way to build in some fine motor skills. Young children often enjoy imaginative play. Suggest playing “school.” This might involve creating name tags for everyone’s “desk,” drawing self-portraits for an “assignment”, or using child-sized scissors to cut out shapes – all great activities that involve fine motor skills. Consider purchasing a small, lap-sized white board. Children tend to be big fans of using dry-erase markers. Suggest that the “teacher” creates letters and numbers with dashed lines to be traced by the “student.” By centering these activities around an imaginative story line, children are more likely to be engaged in these writing and drawing tasks, and will hold their attention for an extended span – all while working on their fine motor skills. Featured Contributor: Rachel Stewart Johnson, Ph.D.
Rachel Stewart Johnson is a former lecturer in human development and a mother of three. Her writing has also appeared recently in Thrive Global and Elephant Journal, among others. 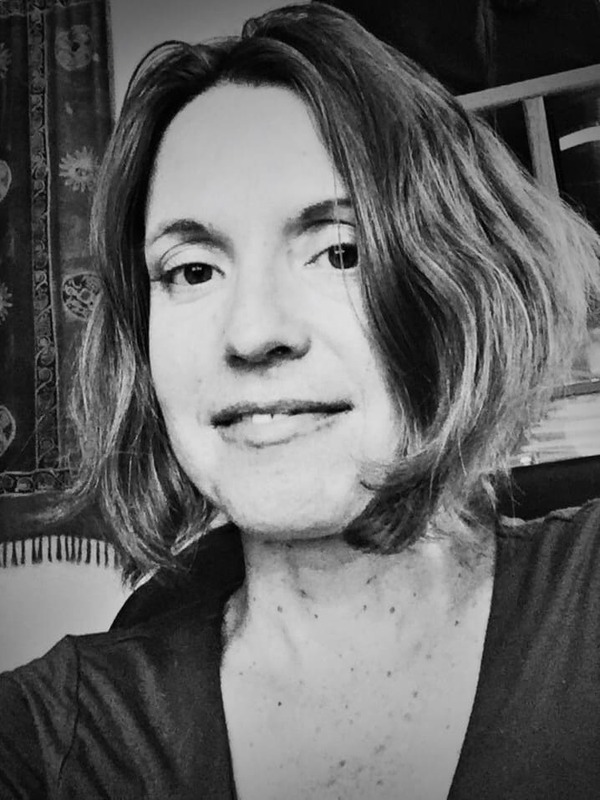 Rachel received a Ph.D. in psychology, with a developmental psychology focus from Stanford University in 2000.